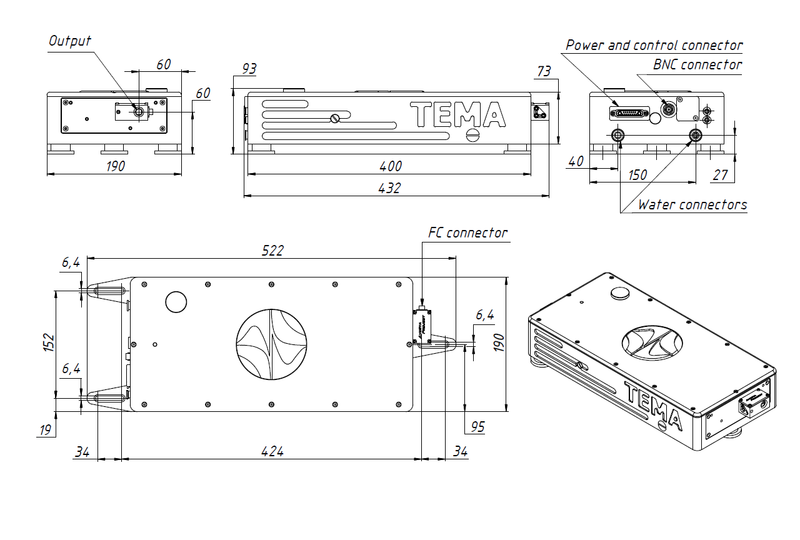 TEMA laser system (closed-loop chiller system not shown) comprising an optical head and a compact, touchscreen-equipped control unit. 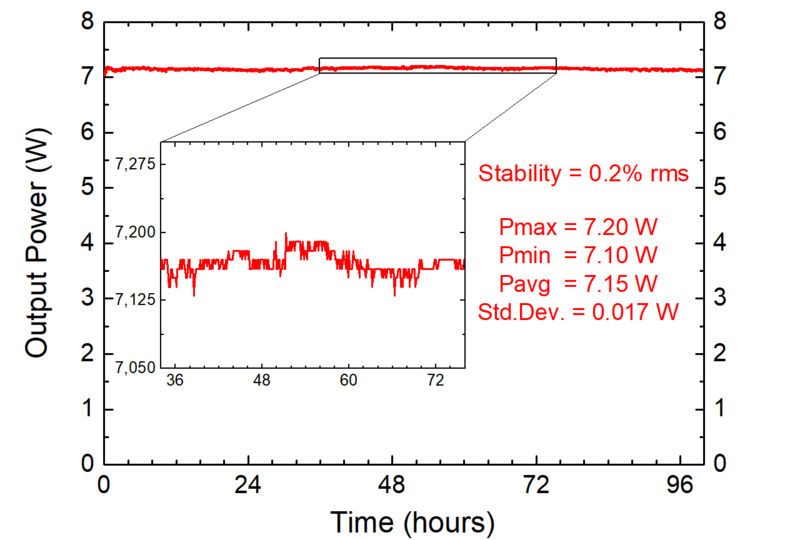 Long-term average optical power dependence of TEMA-150 laser system demonstrating 0.2% rms stability over the period of 100 hours. 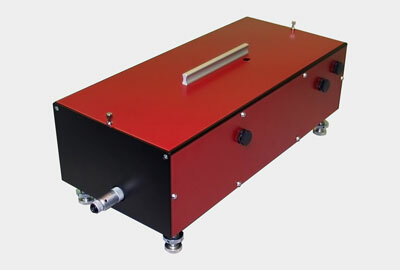 esting TEMA laser system for long-term stability under varying ambient temperature conditions. 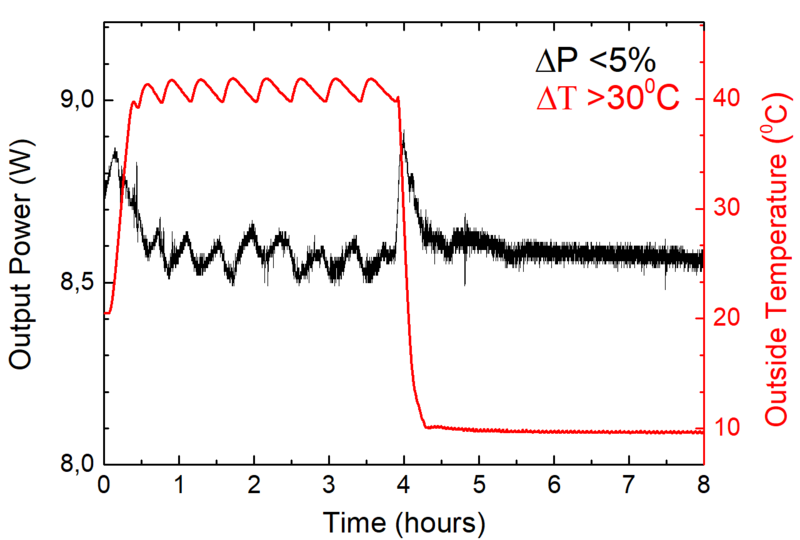 Average power output of TEMA-150 laser versus time at highly unstable ambient temperature conditions (temperature shown in red). 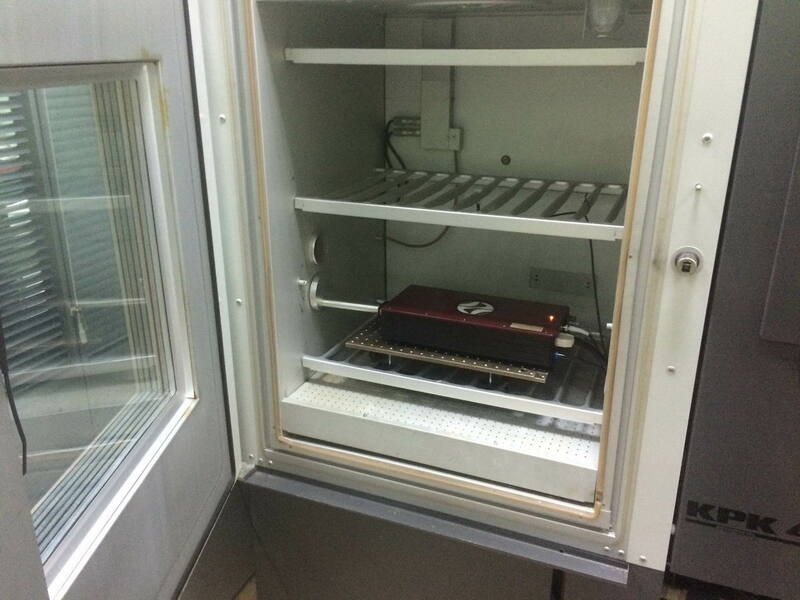 2) - after 30 min warm-up with cold start, during 12-hour continuous operation under equal room temperature conditions using recommended stabilized closed-loop chiller with proper capacity. 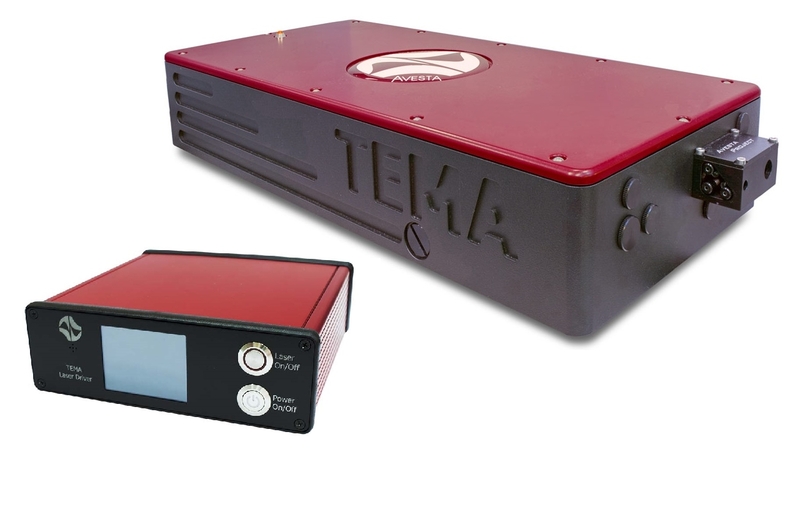 The TEMA laser based on an Yb-doped crystal radiates at around 1-um wavelength with high average power, enabling the user to enjoy high power ratings at over-micron wavelengths. This design features an integrated pump diode module for greater system stability and turn-key operation. 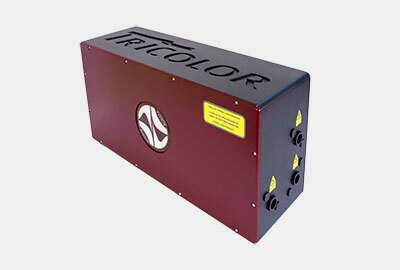 The monolithic thermally stabilized body of the laser ensures maximum rigidity, while self-starting design provides for easy "plug-and-play" operation. 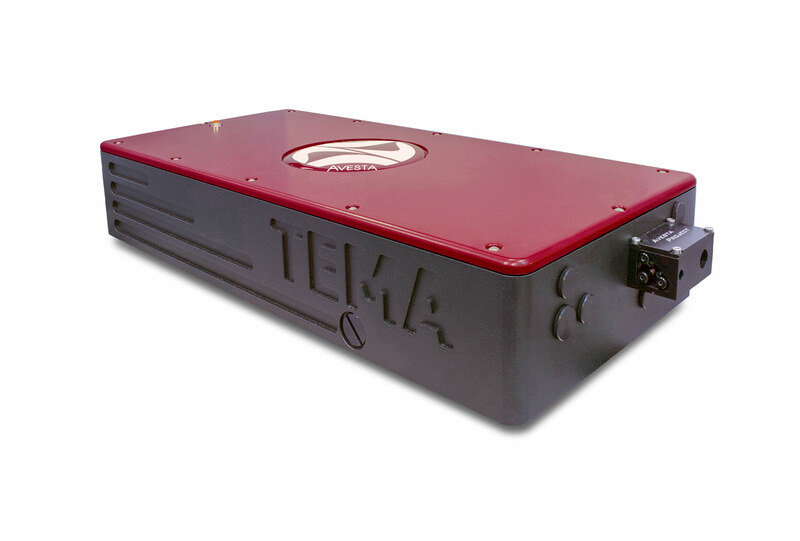 - the TEMA-150 outputs the highest average power of the series, and is quite suitable for power-demanding applications, such as e.g. 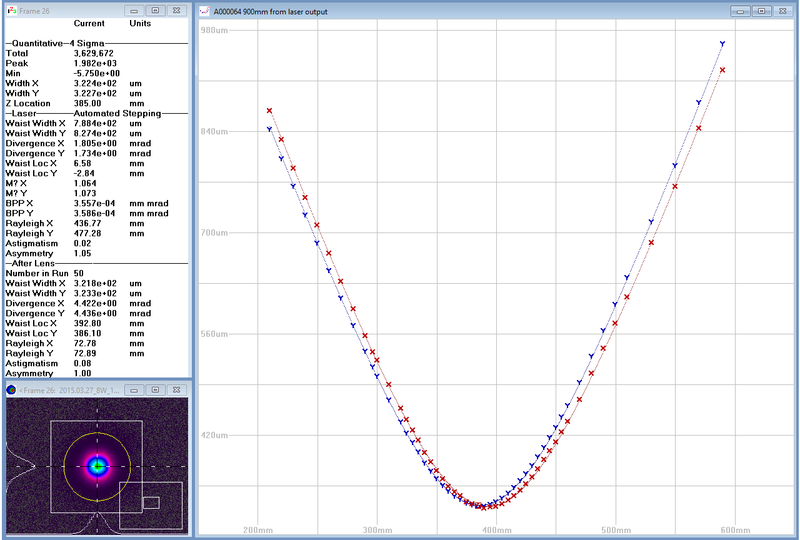 harmonic wavelength conversion and OPO pumping applications. 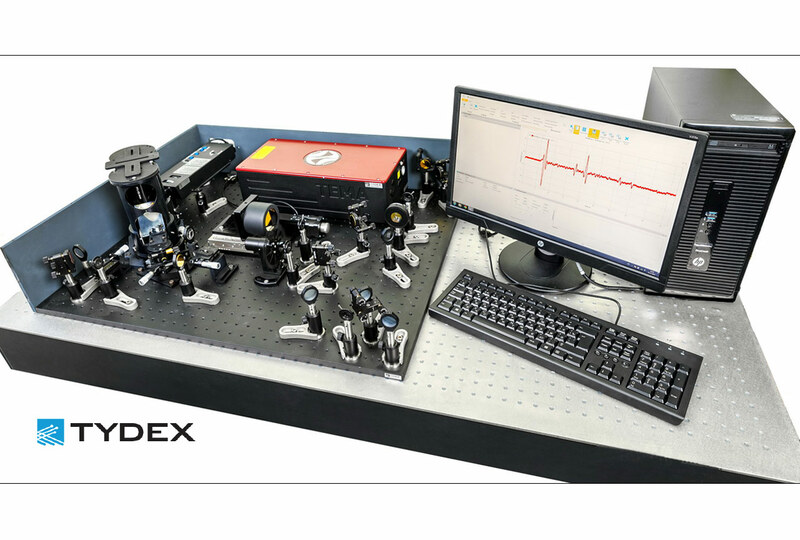 As for wavelength conversion options, the TEMA laser system is also used as a pump source for optical parametric generators (OPOs), that allow generation of ultrafast pulsed radiation from VIS into the IR and MIR regions. 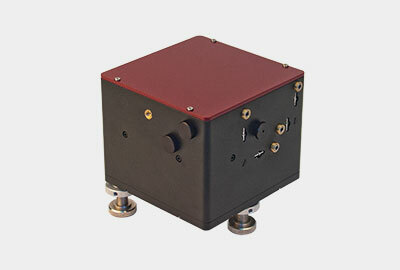 See our TOPOL series of OPO systems for more details. 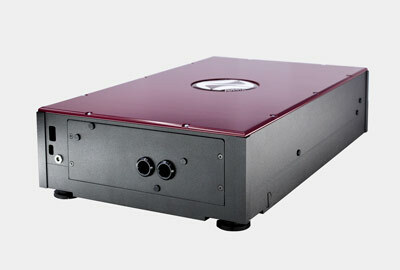 The system might also be equipped with external harmonic generators of the AG series. 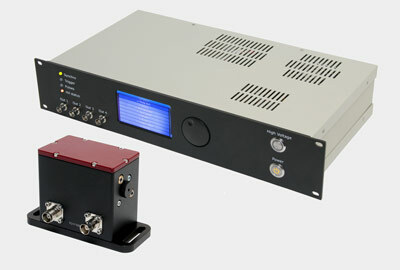 Also note that a dedicated TEMA-DUO system with a compact built-in SHG module provides high-power fs radiation at 525 nm. 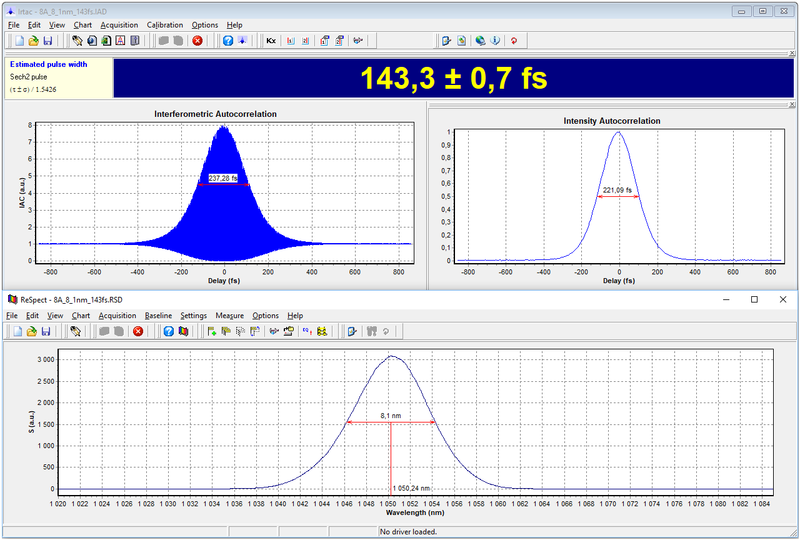 An optional pulse compressor also enables 15-fs pulse width generation with the TEMA system. Please enquire for further details about this option. 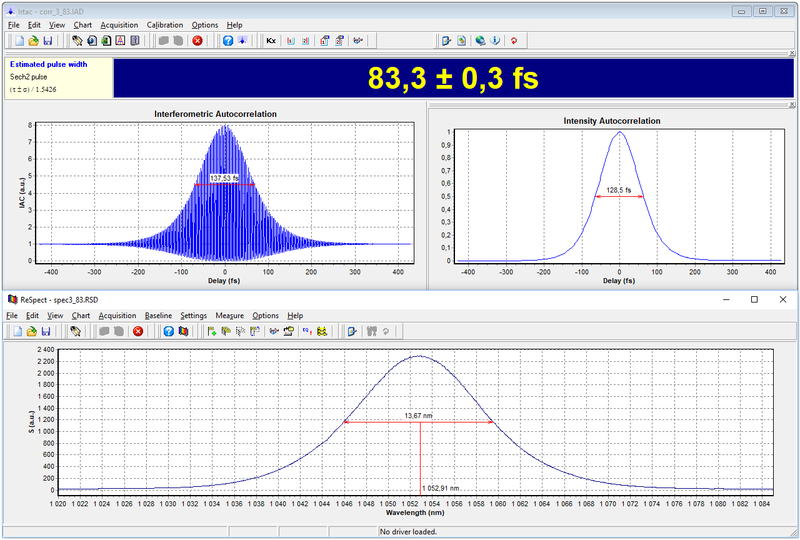 The Tricolor multi-channel femtosecond system has three inherently synchronized output channels with low relative jitter <1 fs.